Remember that green round slice of lime? There was once a time when I saw it every day when I turned my computer on, but if I remember correctly, those days were short-lived. For some users, Limewire probably played a larger part in their lives. Yesterday, the longstanding battle between Limewire and the Recording Industry Association of America (RIAA) came to a halt. After four long years of battling it out in the courts, the two parties now face the end to their squabbling – to the detriment of the file sharing site. 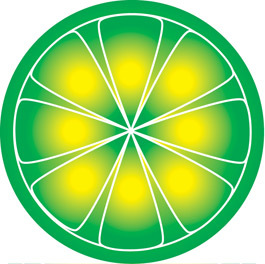 A judge from the US district court in New York has issued an injunction that forces Limewire’s features to be shut down. These are searching, downloading, uploading, and file sharing. For sure, those who still use Limewire are going to feel a sense of sadness and loss if they go to the site right now. 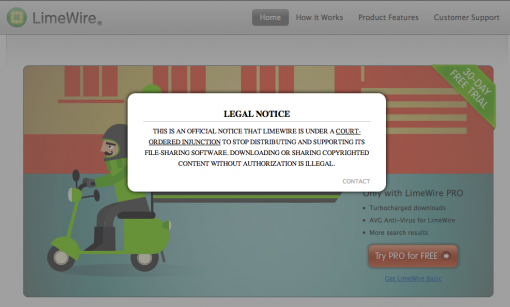 Try visiting the site (Limewire), and you will be greeted by this image. The RIAA has been the object of many a file sharer’s ire in the recent years as the group has been actively seeking out copyright violators. This injunction is indeed a victory for them. Limewire is not going to totally disappear from the scene, though. While the “free stuff” cannot be accessed anymore, the people behind Limewire do have plans to come up with a system that will adhere to the law while they continue with their operations. The question is this: will this new system make it as attractive as it was when file sharing (as we used to know it) was the main selling point? You guys who already miss the old Limewire, I feel for you.